This might be my favorite post yet because it’s all pictures and few words. In helping my boss to prepare for his talk at the Agile Executive Forum in Washington DC next week, I took some pretty good pictures of our (Valpak’s) Agile work spaces to share with you all. Enjoy! 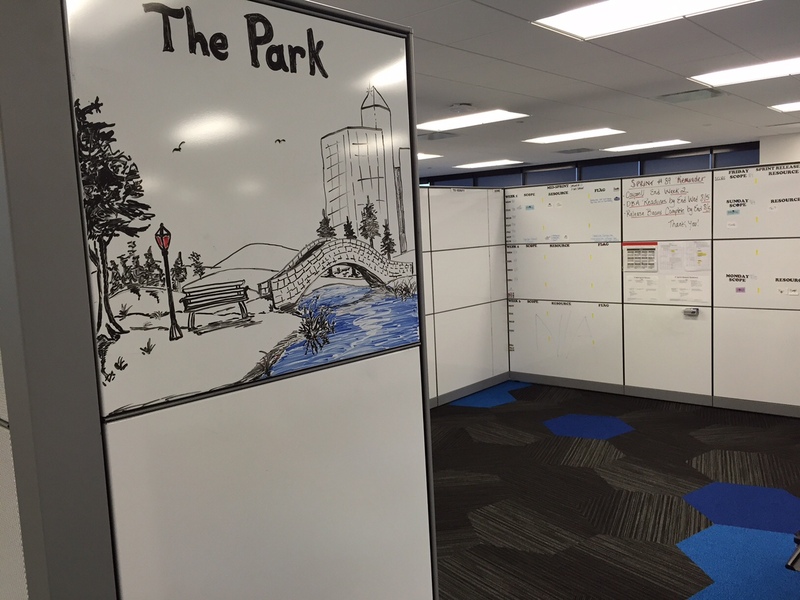 “The Park” is home to most of our IT Scrum and Kanban boards. This is where they have their daily standups. Whiteboard artwork by Ken Pace, one of our UI guys. Another view inside “The Park”. 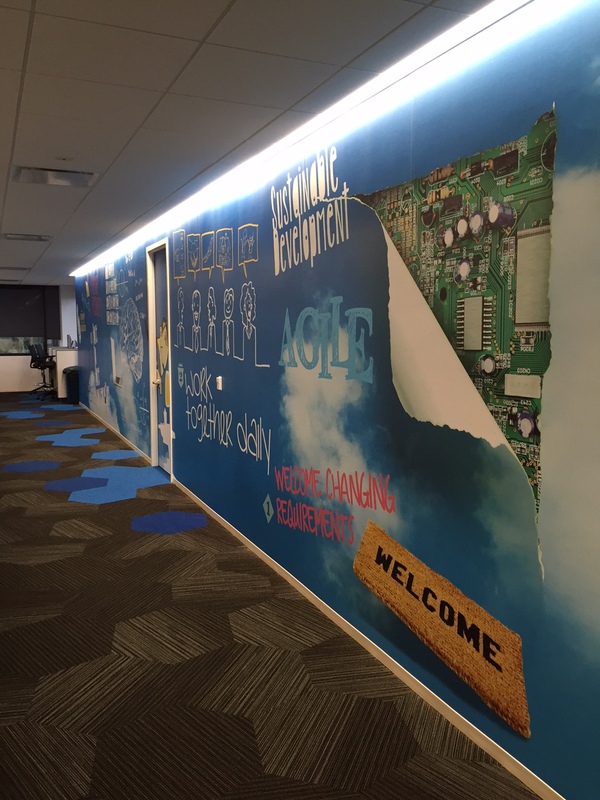 One perspective of The Agile Manifesto art wall in IT. 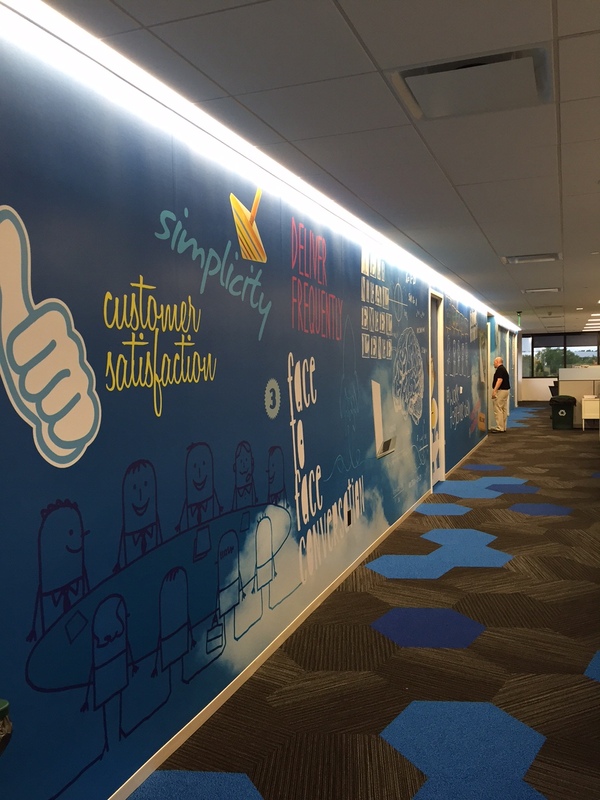 Another perspective of The Agile Manifesto art wall in IT. 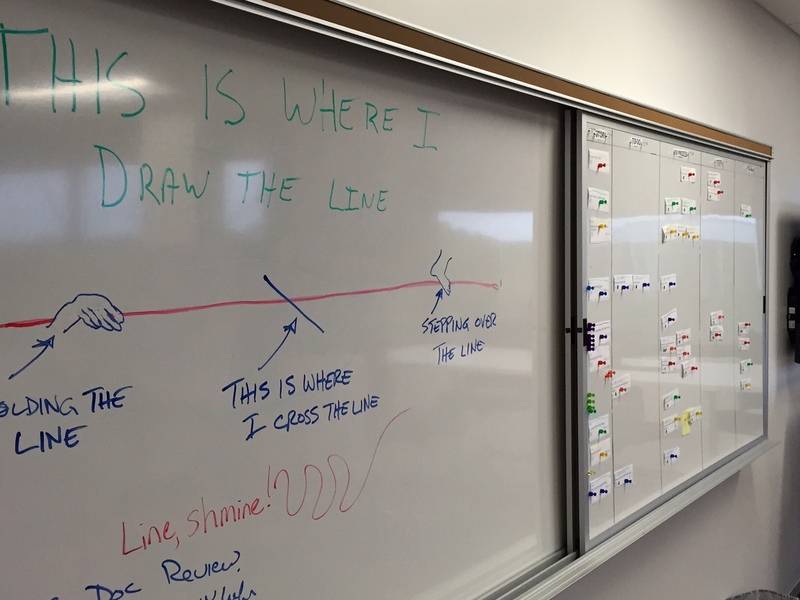 And, yet another perspective of The Agile Manifesto art wall in IT. Even the outside of “The Park” is used for board space. 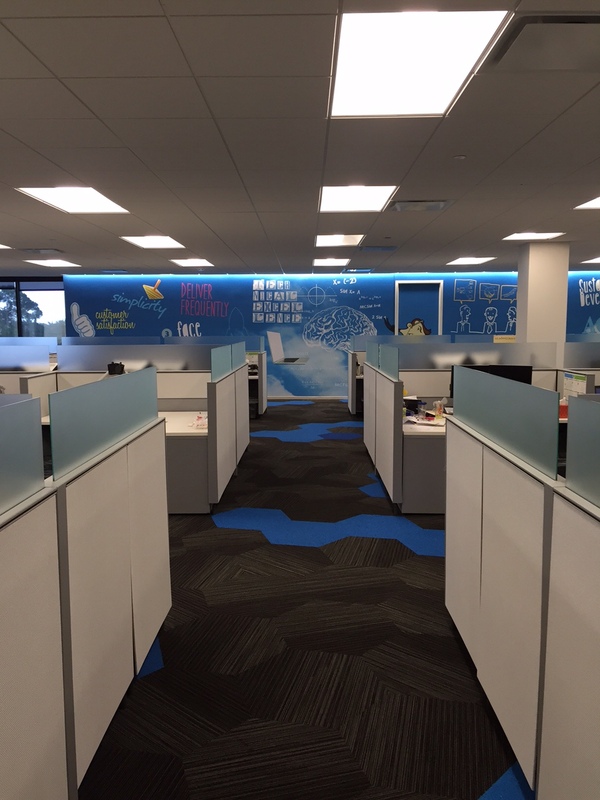 A view from where the BI Scrum team sits looking towards The Agile Manifesto art wall. 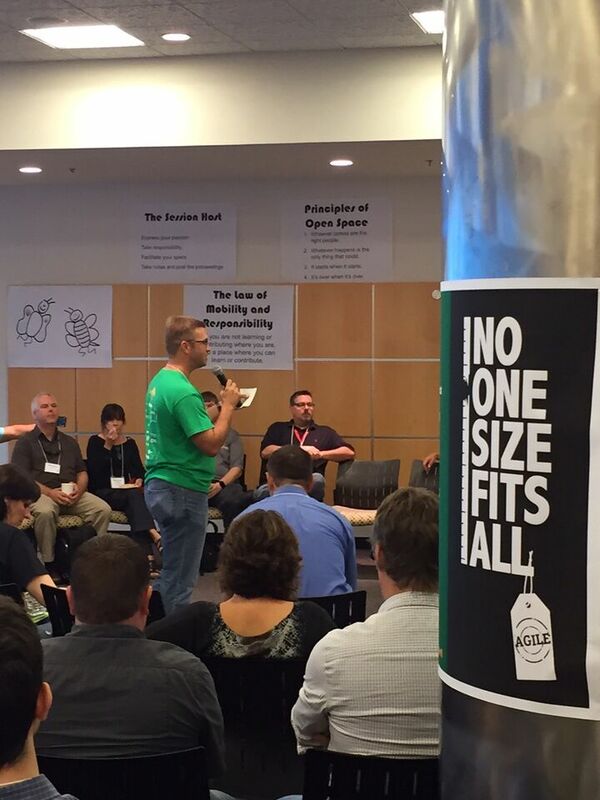 The view from the aisle looking towards The Agile Manifesto art wall. 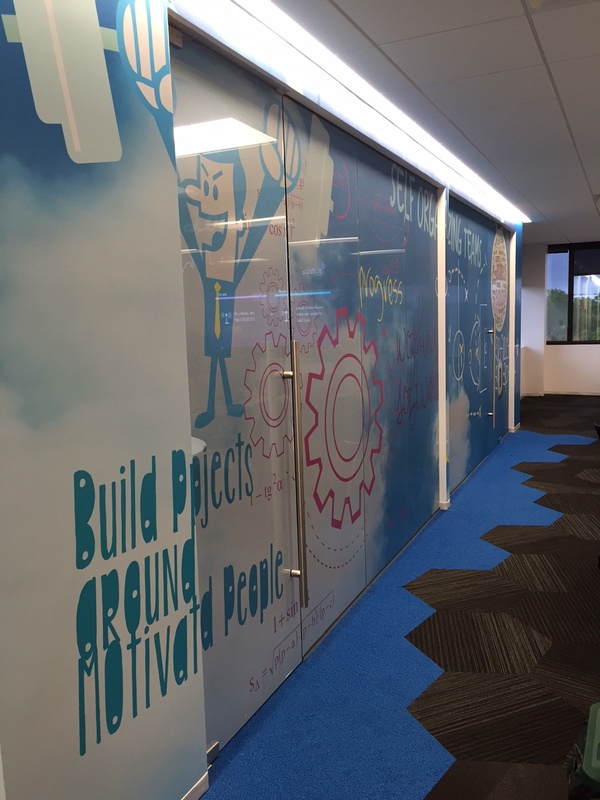 The view from the main walkway through IT looking towards The Agile Manifesto art wall. 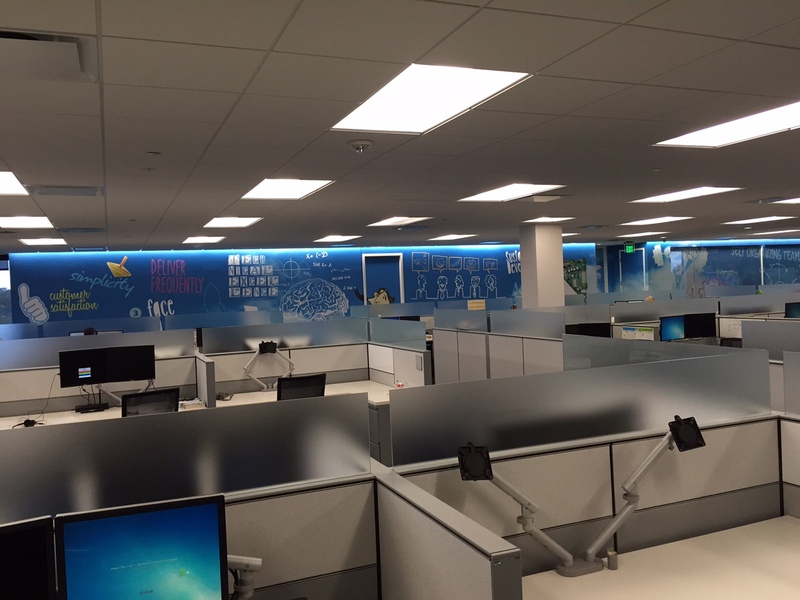 IT is located right next to the BI and Finance teams. 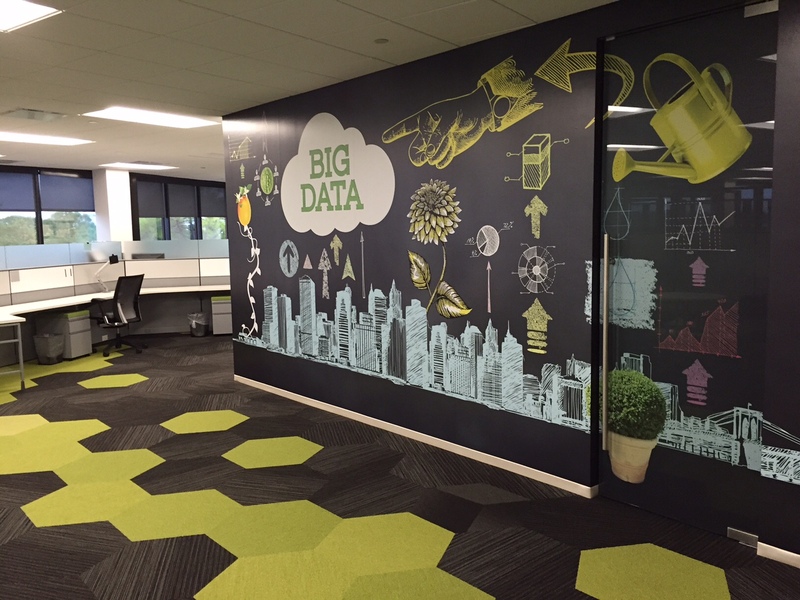 They’ve got the super cool Big Data art wall. Our executives are located in an area called “Downtown”. 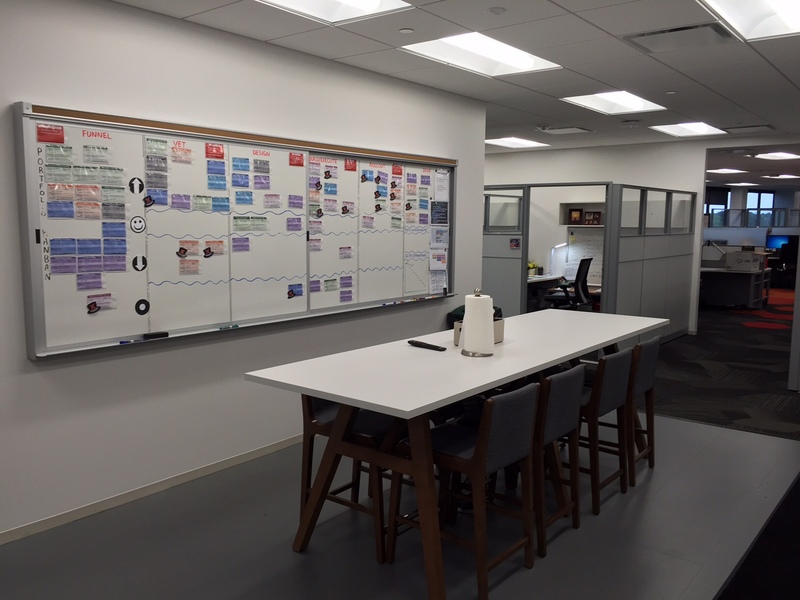 This is a view of the Portfolio Kanban located in the Downtown Kitchen. The executives have a weekly standup at this board. 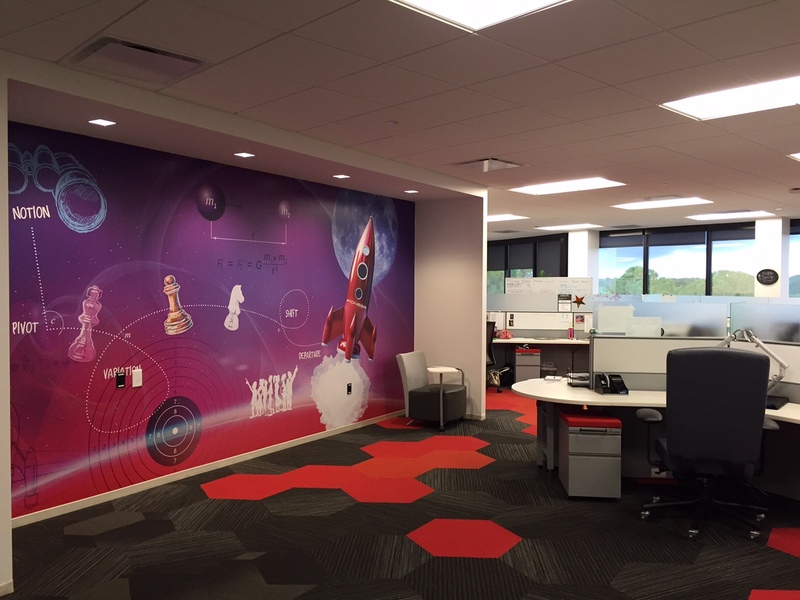 The art wall in our Digital area has a rocket ship. Some whiteboard fun from our Digital teams plus their Scrum board. 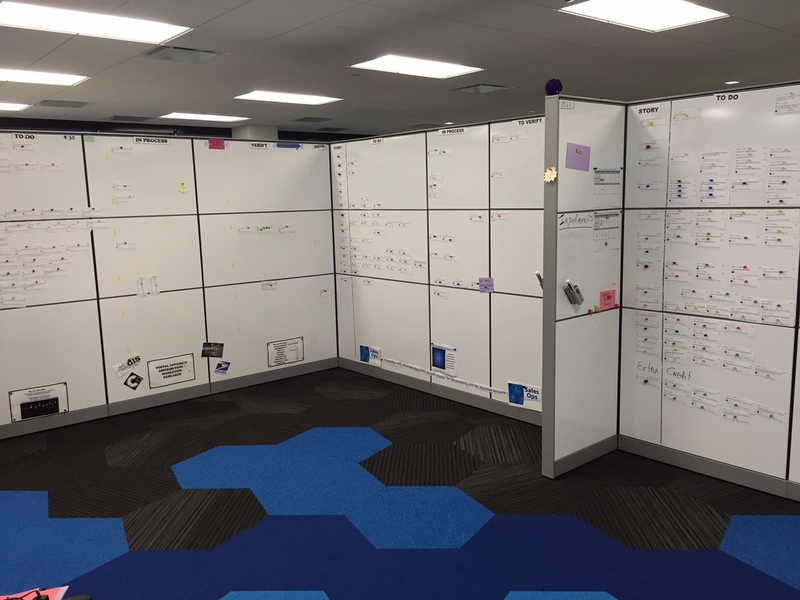 A panoramic view of “The Park”, 360 degrees of Scrum and Kanban boards for our IT teams. Notice Dudley the Doughbot hanging out. 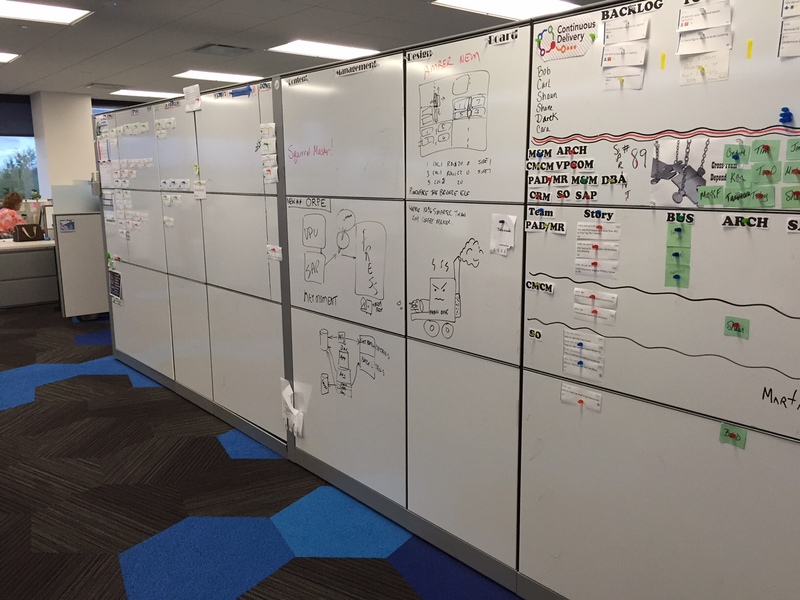 Another panoramic view of “The Park”, 360 degrees of Scrum and Kanban boards for our IT teams. 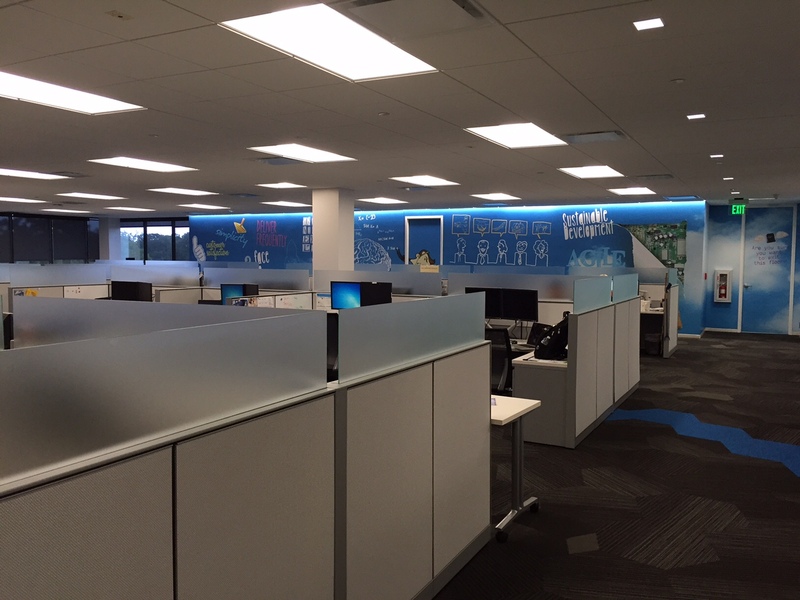 And, yet another panoramic view of “The Park”, 360 degrees of Scrum and Kanban boards for our IT teams.